Overview & specs of Bobble 550 ml Water Bottle by Currys PC World. Enjoy cleaner, purer and better tasting tap water with the Bobble 550 ml Water Bottle with black carbon filter.The Bobble Water Bottle is made from recycled plastics and much more economical and environmentally friendly than buying single-use bottles.The bottle features an activated carbon filter that attracts chemicals and impurities, removing it from your drinking water.The filter will last for approximately 300 refills before it will need replacing with another Bobble water filter.Care for yourself and your environment with the Bobble 550 ml Water Bottle. 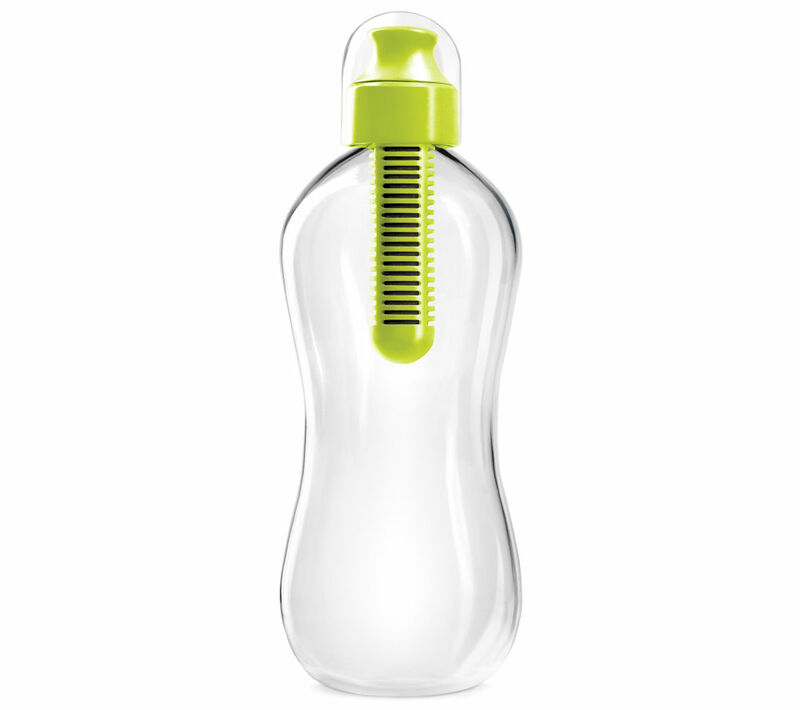 We are comparing prices for Bobble 550 ml Water Bottle in new condition sold by Currys Pc World, Robert Dyas, Cartridge People.